﻿ Custom T-Shirt Blankets or Quilts Made In Minnesota! Custom T-shirt blankets are here! Congratulations on choosing the right gift for graduation. Or for those looking for a gift we’ll keep this secret between you and I. We can help you make your ideas come true, with high quality and affordable t-shirt quilts. T-shirt blankets and t-shirt quilts make a great lifetime of memories. 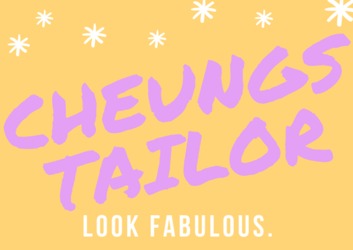 At Cheung’s Tailor Alterations we can help you save those old t-shirts into memories. Gifts for college and gifts of a lifetime. It’s also very socially and environmentally impactful! We try to make this process as simple as possible – we’ll start by saying please don’t cut out your own t-shirt panels. The following are approximations for viewing purposes only. Final measurements are determined by the tailor and yourself on what you’d like to have done. Generally for most blankets we would have you consider several looks first. How do I want my quilt to look, what style am I hoping to acheive? Small inner quilts – where the blanket exceeds the edges. This is generally done for clients who don’t have enough t-shirts or are hoping to just have a larger blanket quilt. To the edge – where the t-shirt quilt goes to the edge and highlights the entire t-shirt from side to side. Minimal edge and binding – where the blanket has a seam on the edge or you may also add binding to the edge to create a cohesive look. What size T-shirt blanket do I want? How do I start my t-shirt quilt? Choose the design [Sit down with pencil & paper design how you’d like to set up the T-shirt blanket. Think of the colors, wording, logos etc.] Easier way is to lay it out on the floor, take a picture, and send us an email! With some of our custom tailoring services we consult our clients with what they should expect. And examples of what we are able to provide or what we’d suggest purchasing. Generally in order to have what our clients want we would advice them to purchase some materials depending on the style of t-shirt blankets they wish to achieve. The color, texture, binding, and thickness vary so choosing your own makes it even more memorable! Lead Time: Due to graduation season we work diligently and provide the best quality product. Please don’t wait til last minute, come on in for your free consultation and see what we can do for you! But if you are in a rush we are still able to help you out please read our FAQ page. Want memories but something simpler? Did you know you can turn your T-shirts into pillow as well? Give us an email today!